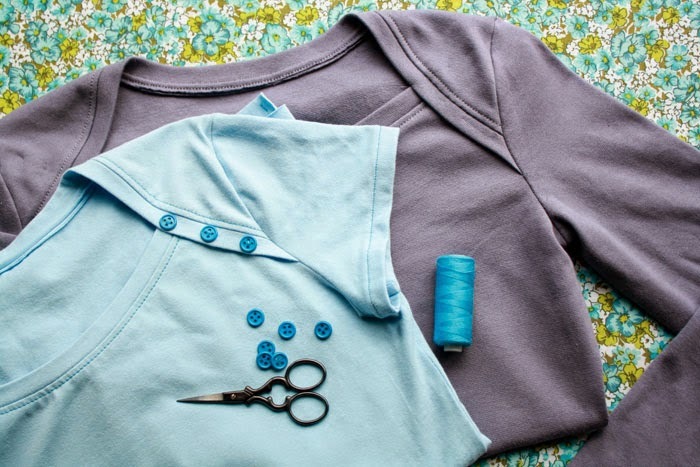 Today I'm going to be showing you two ways to finish off your Bronte neckline. You see, if you don't secure the underlap to the overlap in the shoulder area, you will get bunching when wearing it, which doesn't really give that smooth shoulder we're after (and I reckon it'd be pretty annoying actually). Everybody loves buttons. I like to use three buttons down each side of my top, but I've seen some lovely versions that have just one in the corner etc. It's also totally up to you whether you use buttons or other notions as well. 1. 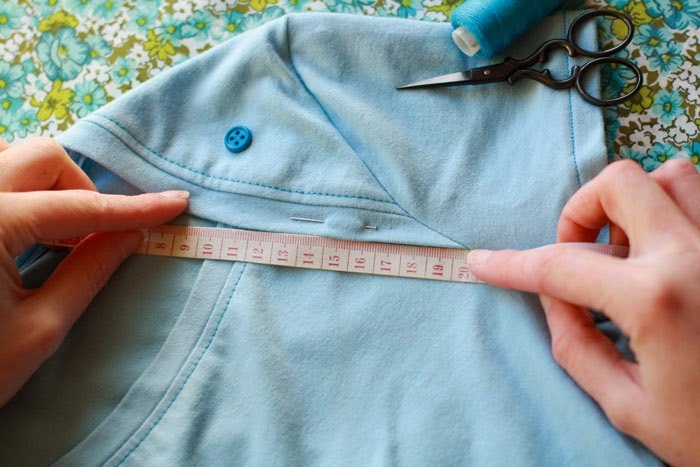 Measure out your binding overlap from the bottom of the sleeve to the top of the overlapped binding (where it's hitting 10cm in the photo below). 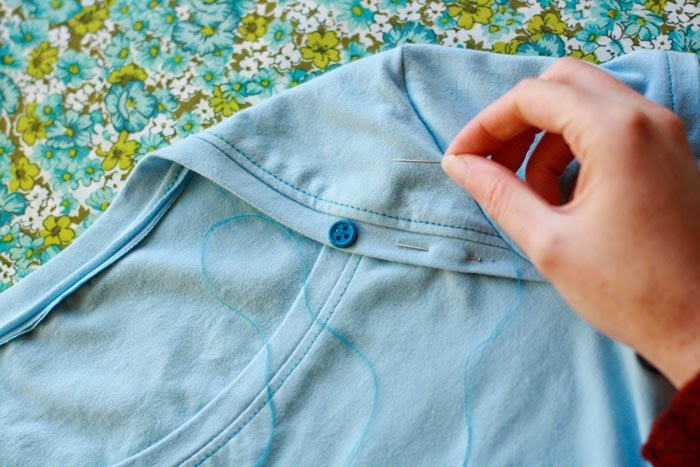 Mark out where your buttons will sit evenly along the binding. 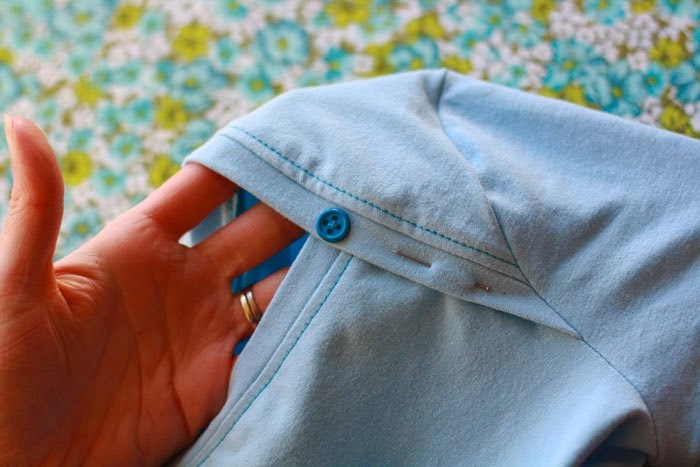 Note - it may be easiest to sew the two end buttons on first so you can get the middle button exactly in the centre. 2. 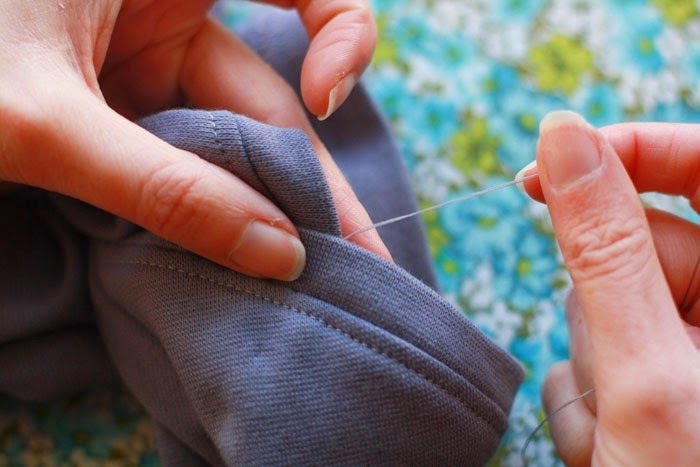 Thread your needle with a double thread and a knot at the end. 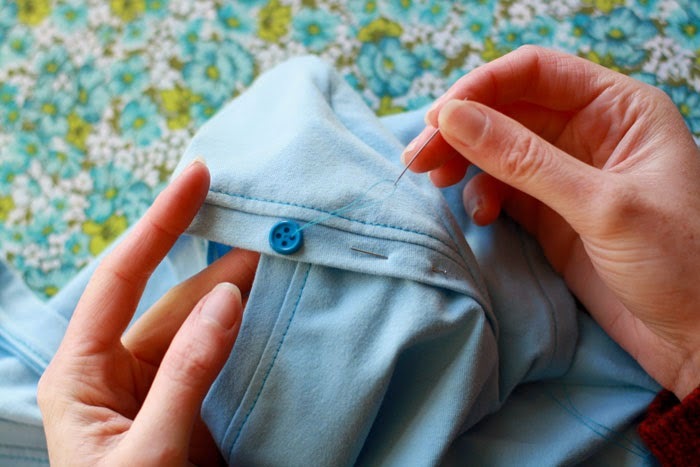 Place your first button on your binding. 3. 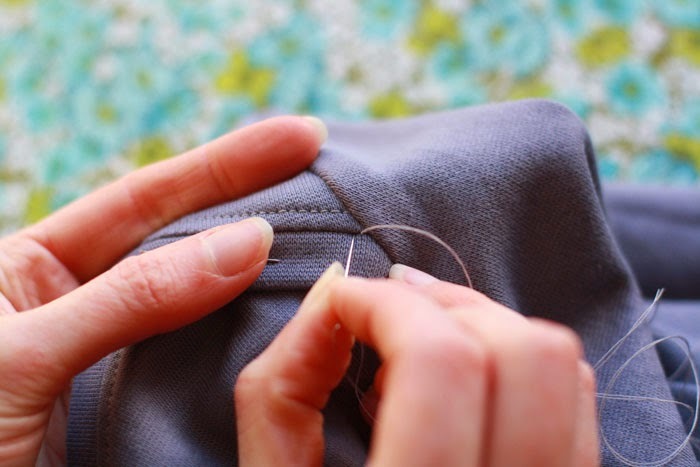 Starting from the underside, thread your needle up through both layers of binding and through your first button hole. 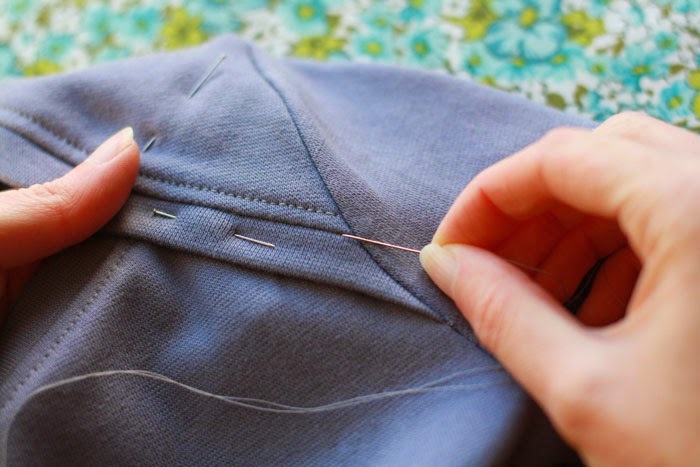 If you have a 4-holed button like mine, I like to stitch it down making an X in the centre with my thread, but feel free to stitch it down however you choose. 4. 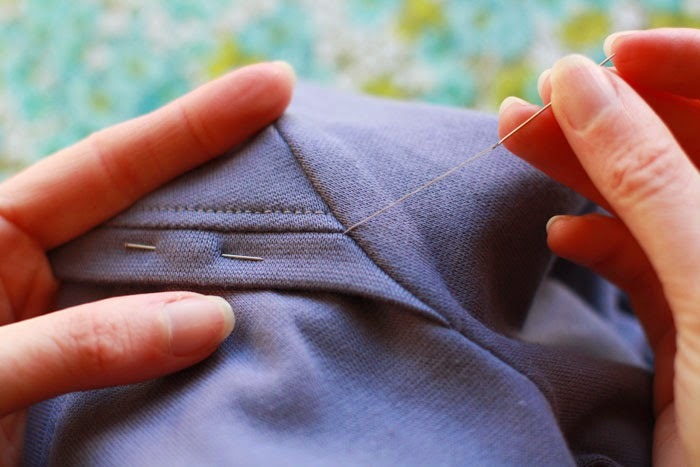 Stitch through your button holes 3 to 4 times each, secure your thread on the wrong side with a knot and repeat for the rest of the shoulder line. Then do the other side. Popping in some invisible hand stitches will give your Bronte a clean yet finished look if you don't want to decorate it with anything. 1. I like to sew my invisible hand stitches into the seam (photo a) rather than the top stitching (photo b), but either is fine. 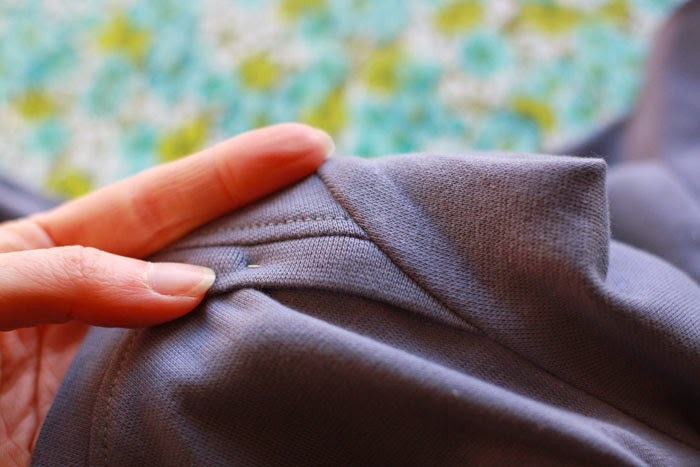 In fact, you could carefully sew over your top stitching with your machine if you prefer not to do any hand finishing. 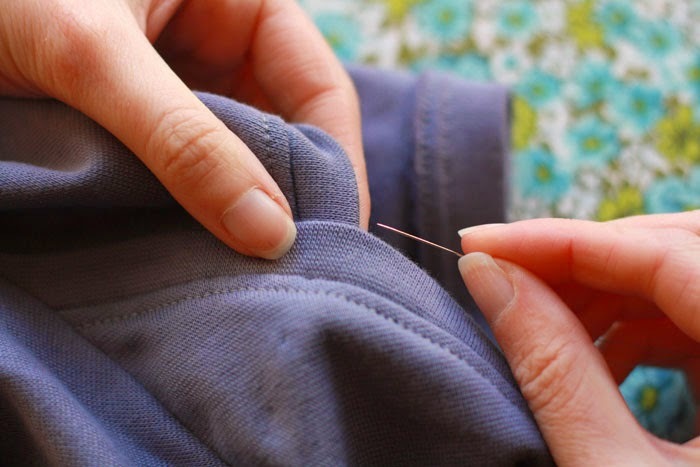 a) Sew into your seam (my preferred method). 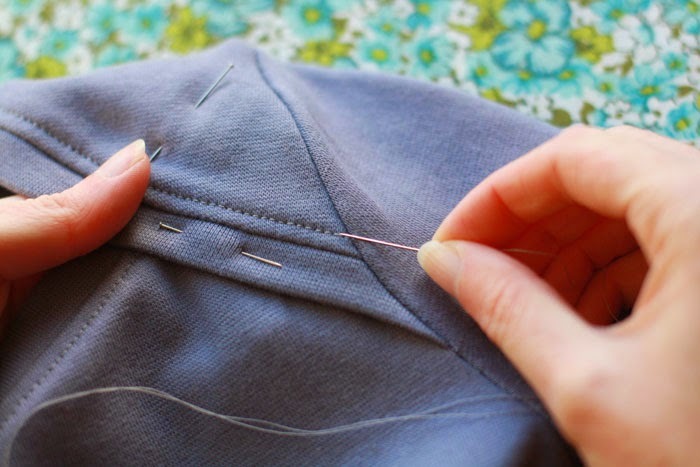 b) Sew into your top stitching. 2. Double thread your needle and knot the end. 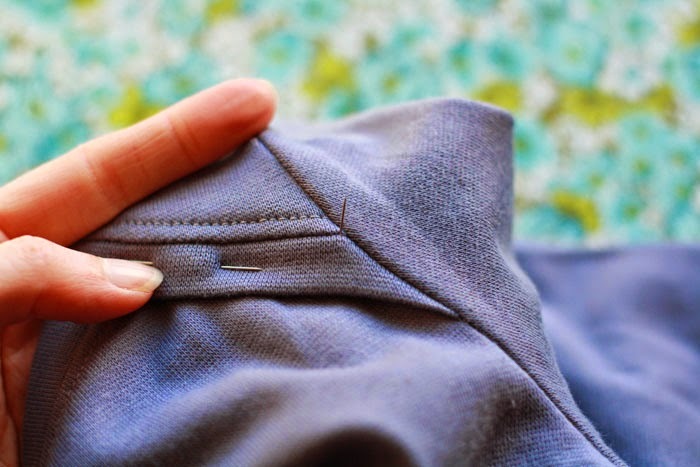 Starting at the sleeve end, bring your needle up through the seam, through all layers, from the underside. 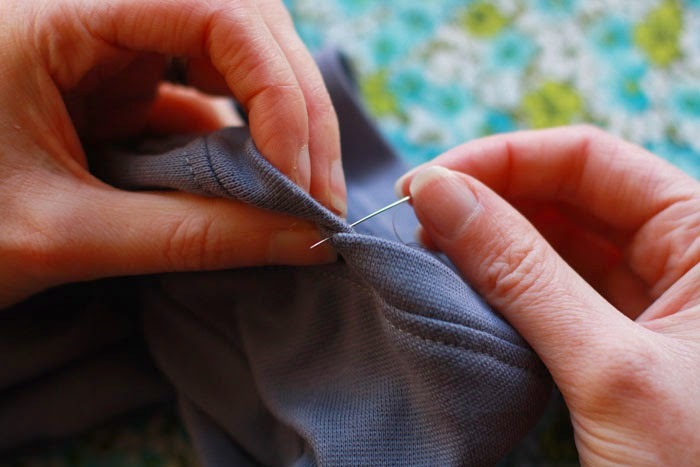 Note - try to find a thread that matches your Bronte fabric as much as you can, this will help hide those stitches. It was really hard to find something that matched my purple-grey fabric, but this thread still becomes invisible with some careful stitching. 3. Pull your thread all the way through until it stops at the knot. 4. You only need teeny tiny stitches on the outside of your Bronte, so now, go back in as close as you can to where you came out. Note - don't pull your thread too tightly otherwise you'll get little tell tale dents along your neckline binding. 5. Where is that stitch? Invisible, that's where it is! You don't need to worry too much about how far apart your stitches are on the underside (mine are about 1cm apart), just make sure the stitches on the outside are small so you won't see them. 7. Bring your thread up through the very edge of the overlapped binding (try not to bring it through the top, otherwise you'll see it). 8. 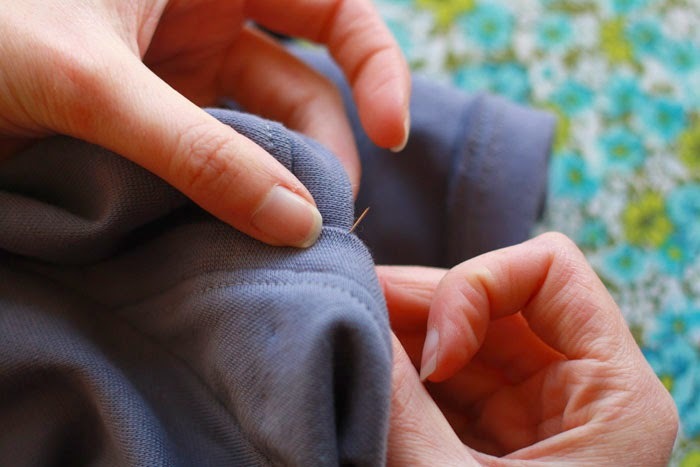 Pull the thread through and loop it around twice. 9. 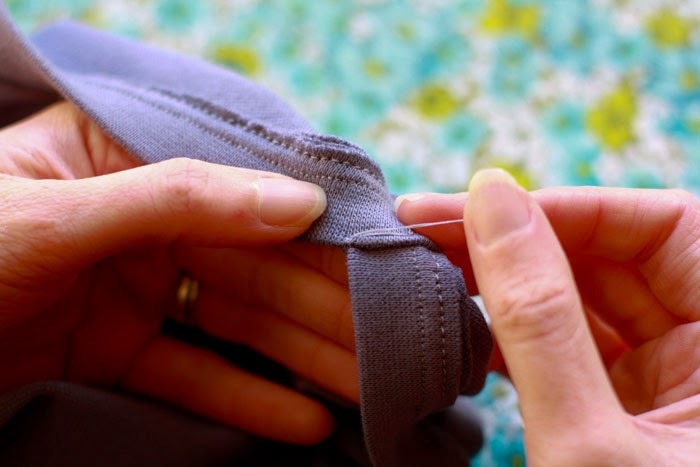 Tie your thread off and repeat for the other side. Have you finished a Bronte top? Why not upload it to the Flickr group or flick me an email so I can showcase a few?